It is compatible with awesome plugins: WPBakery (aka Visual Composer), Revolution Slider, WPML, Essential Grid. 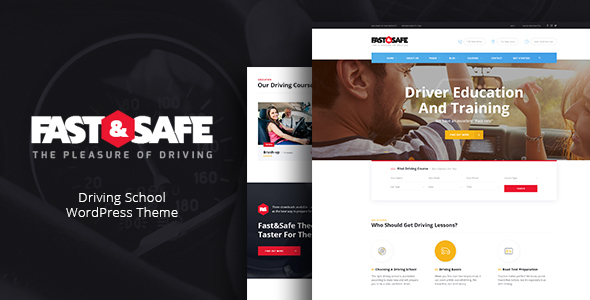 Fast & Safe has a user-friendly interface. Also it is fully responsive and Retina ready, with advanced translation options, one-click demo installation, numerous color settings etc. 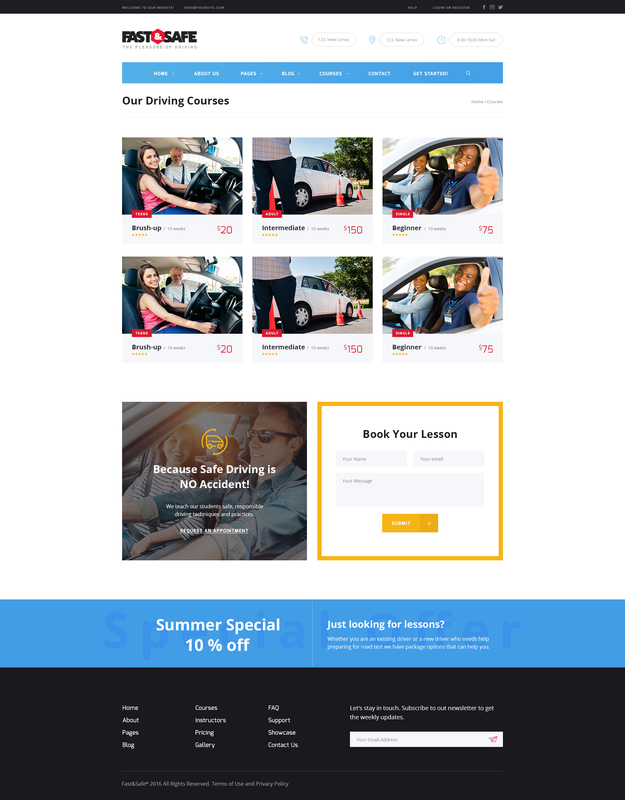 All these features will help you have strong and easy operated website for your driving courses. Professional design will get your visitors interested, so be sure they will apply for your courses with no hesitation. - Theme styles are imroved.